Hi everyone! 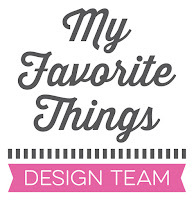 It’s time for the March My Favorite Things release replay! Today, the MFT design team is taking a fresh look at the most recent release. Most of the supplies I used for this project are linked at the bottom of this post. I think, the triangles (both, stencil and Die-namics) are my favorites from this release. 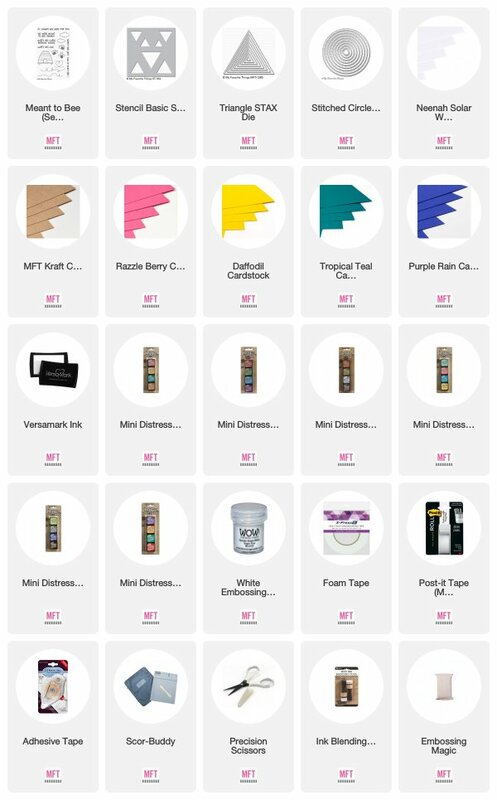 They are so versatile and I enjoyed playing with these supplies! I created a card base from Kraft cardstock. I then cut a white panel that I adhered to the front of the card base as shown. I sponged four triangles using the Triangle stencil, blending tools and Distress inks. Next, I die cut four triangles from Razzle Berry, Daffodil, Tropical Teal and Purple Rain cardstock. I fixed them on top of the other triangles as shown using foam adhesive for more dimension. Then sentiment is from the Meant to Bee stamp set. It as stamped with Versamark on a circle that was die cut using the Stitched Circle STAX die set and was heat embossed using white embossing powder. For more inspiration, don’t forget to check my MFT Gallery onPinterest and my INSTAGRAM feed! Very Clever - I looked at the triangle dies and couldn't see how to use them. I really like this card! Awesome card, Francine! 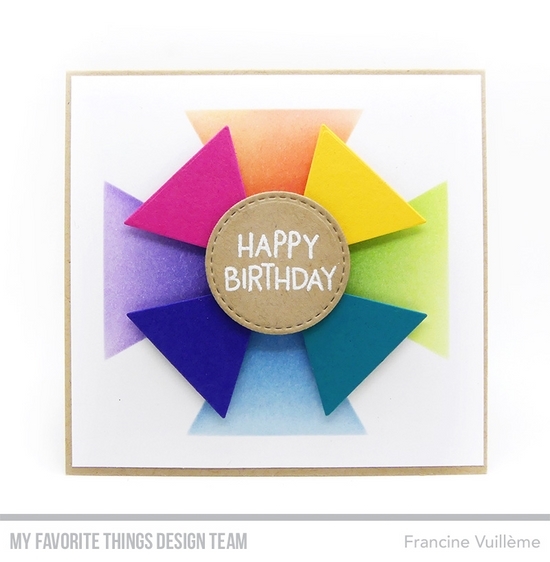 I love all the fun colors and how you added dimension to your design...very cool!